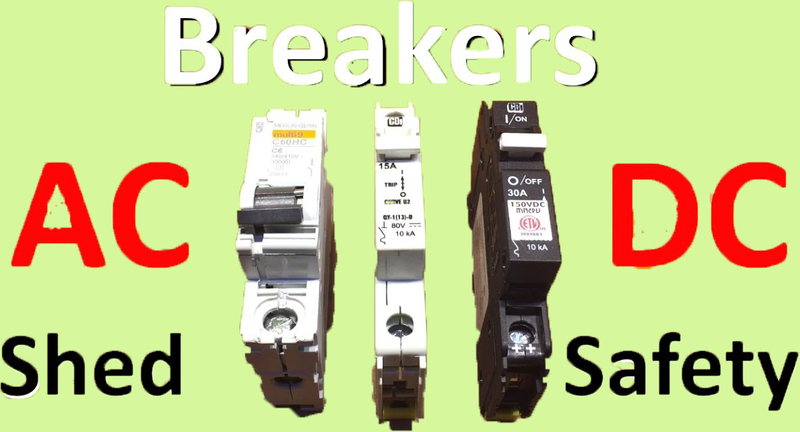 I talk briefly about how they work and then I take look inside an AC breaker, a AC & DC Breaker and a DC only breaker. It turns out they have some similarities as well as some differences. Remember, please use the correctly designed breaker for your circuit. Do not use AC breakers on DC circuits (or vice versa).